Men talk of "finding God," but no wonder it is difficult; He is hidden in that darkest hiding-place, your heart. You yourself are a part of Him. When you sell a man a book you don't sell him just 12 ounces of paper and ink and glue - you sell him a whole new life. No one appreciates the very special genius of your conversations as a dog does. 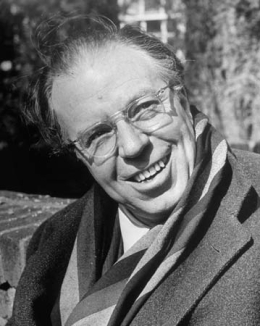 24 quotes by Christopher Morley.